This just arrived from Amazon. Have to say we really like the song. The rights to the song are administered by thirteen listed companies. And the song was recorded in New York, Santa Monica….and Mexico. Paul McCartney played acoustic guitar, but bass was provided by multi-instrumentalist and hip hop producer Mike Dean. Oh, and apparently that Braille-like writing on the front cover is in fact Braille and it reads “four five seconds”. 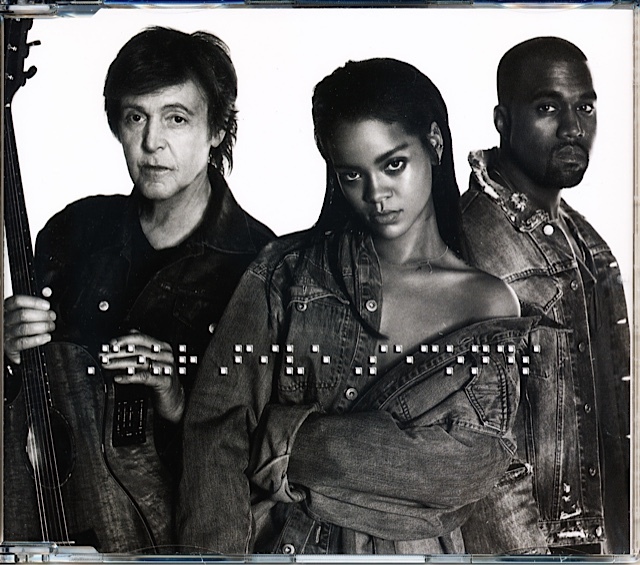 This entry was posted in Beatles, Beatles Music, Paul McCartney and tagged Beatles, Beatles Collecting, FourFiveSeconds, Kanye West, Music, Paul McCartney, Rihanna by beatlesblogger. Bookmark the permalink.